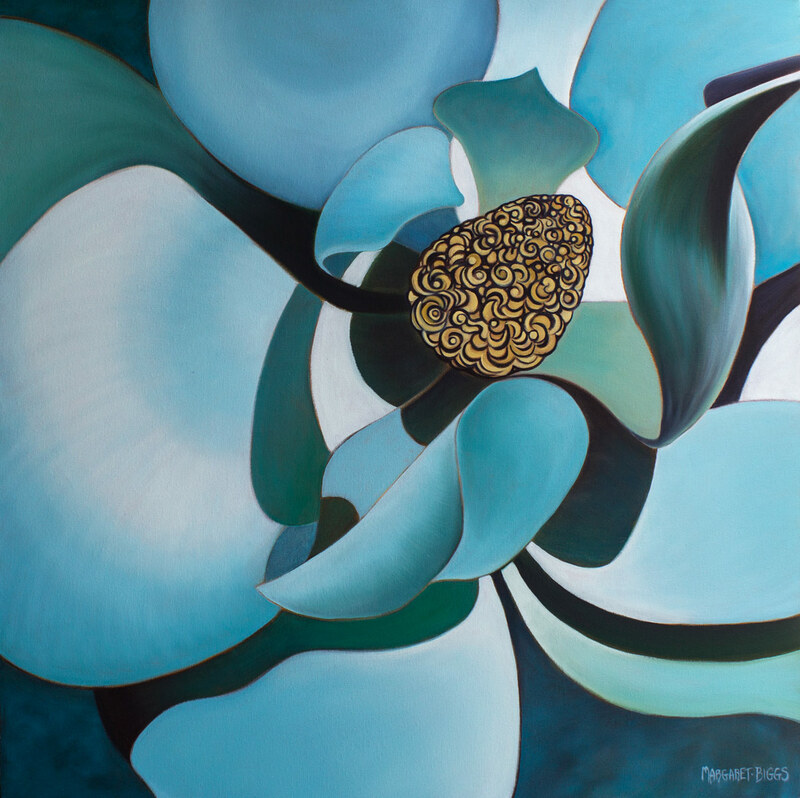 In this depiction of the Southern Magnolia, I paid greater attention to the shapes within the piece; to the lines intersecting and shapes converging, towards abstraction within the realism. There is a stillness within the motion. It is a painting of strength, sadness, beauty, and joy.